The Harmonious Society (simplified Chinese: 和谐社会; traditional Chinese: 和諧社會; pinyin: héxié shèhuì) has been a socioeconomic vision in China. The concept of social harmony dates back to ancient China, to the time of Confucius. As a result, the philosophy has also been characterized as a form of New Confucianism. In modern times, it developed into a key feature of Hu Jintao's signature ideology of the Scientific Development Concept developed in the mid-2000s, being re-introduced by the Hu–Wen Administration during the 2005 National People's Congress. The philosophy is recognized as a response to the increasing social injustice and inequality emerging in mainland Chinese society as a result of unchecked economic growth, which has led to social conflict. The governing philosophy was therefore shifted around economic growth to overall societal balance and harmony. 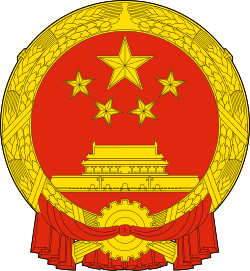 Along with a moderately prosperous society, it was set to be one of the national goals for the ruling vanguard Communist Party. The promotion of the "Harmonious Society" demonstrated that Hu Jintao's ruling philosophy had departed from that of his predecessors. Near the end of his tenure in 2011, Hu appeared to extend the ideology to an international dimension, with a focus on the international peace and cooperation, which is said to lead to a "harmonious world" whereas the administration of Hu's successor, Xi Jinping, has used the philosophy more sparingly, likely in favor of emphasizing his vision of the Chinese Dream. The concept of harmony in Chinese culture comes from music. During the Eastern Zhou Dynasty, discussion of music flourished under Confucius and the school of thoughts he created, Confucianism. Confucianism played a key part in the formulation of the earliest form of Chinese music, Qin. Qin music illustrates the concept of harmony through its techniques such as the level of pressure and the speed of tempo, which symbolize Yin and Yang and the different temperature in the four seasons. The moderate unison of sounds maintains the perfect order and managing these opposing elements into a moderate piece of musical work is considered the best sound. Furthermore, one of the most influential works by Ru Jia (otherwise known as Book of Music), reads, “When the early rulers formed the li [rituals] and yue [music] their purpose was not to satisfy the mouth, stomach, ear and eye, but rather to teach the people to moderate their likes and hates, and bring them back to the correct direction in life.” Music, under Confucian concepts, has the power to transform people to become more civilized and the goal of music is to create balance within individuals, nature and society. Leading people “back to the correct direction in life” not only signifies the guiding role of music, but also emphasizes on the power of the rulers, “The correct ‘mood’ was set by the chief of state, the emperor, the son of Heaven.” The power of the rulers reflects a fundamental theme in Chinese civilization. The State, or the ruling government, has the special role of taking care of the people; however, what distinguishes the Chinese ruling government from other ruling governments is the respectful attitude of the citizens, who regard the government as part of their family. In fact, the ruling government is “the head of the family, the patriarch.” Therefore, the Chinese look to the government for guidance as if they are listening to their father who, according to Chinese tradition, enjoys high reverence from the rest of the family. Furthermore, “still another tradition that supports state control of music is the Chinese expectation of a verbal ‘message.’” A “verbal message” is the underlying meaning behind people’s words. In order to get to the “verbal message,” one needs to read into words and ask oneself what the desired or expected response would be. The Chinese tradition of reading into words makes it easier for the government, or “the father,” who possesses more attention and respect, to pass down its wishes through songs. The “Socialist Harmonious Society” concept represents a new direction of Chinese communist leadership that signified the transition between Jiang Zemin and Hu Jintao. Although on the surface, “socialist harmonious society” seems benign, many scholars believe that General Secretary Hu has a vision for a deeper reform of the political system in China. In addition, the idea of scientific development stresses on scientific discovery and technological advance, engines for sustainable growth in the long run. Sustainable growth is a concept in macroeconomics that signifies GDP at potential (i.e. all that is produced is being consumed and there is no cyclical unemployment) for years to come. In addition, the Socialist Harmonious Society concept was a response to the problem of social inequality/ wealth gap, which if not dealt with immediately, could lead to social unrest and even turmoil. A key reason contributing to a widening wealth gap was social injustice, which features collusion between entrepreneurs and officials. Through collusion, entrepreneurs were able to buy land from farmers and then sell it at high prices. Furthermore, with the protection of local officials, private coal mine owners ignored safety regulations to cut production costs. As a result, thousands of miners are killed in accidents. Since the Tiananmen Square protests of 1989, the leadership has been extremely sensitive about maintaining stability. General Secretary Hu's focus on stability and openness is the central model addressed in the book The J Curve: A New Way to Understand Why Nations Rise and Fall by Ian Bremmer. According to Bremmer, the Chinese government is trying carefully to avoid instability by jumping from a controlled social environment on one end to complete openness on the other. The "J Curve" model is applicable to the political development of most nations and presents a choice between stability and openness. The concept of "Socialist Harmonious Society" is said to include both elements of the model. Hence, Hu’s “socialist harmonious society” has an underlying message of establishing political reform as well as safeguarding social justice and equality. Hu Jintao visited the U.S. in early 2011, two years before he stepped down as the General Secretary of the Communist Party (the paramount leader). One of the key messages of his visit was the idea of peace and cooperation: “China and the United States have major influence in international affairs and shoulder important responsibilities in upholding world peace and promoting common development.” In addition to attending state dinners, President Hu visited the US–China Business Council, a Chinese-owned auto parts plant in Ohio, and Walter Payton College Preparatory High School in Chicago/Confucius Institute of Chicago. When asked about the differences between the U.S. and China at Walter Payton Prep, Hu Jintao responded, “China and the US have different histories, culture, social systems and levels of development, but their peoples are peace-loving and in pursuit of growth. I hope that the friendship between our two nations will last forever.” With few agendas at hand before his retirement, Hu Jintao brought to America a concept of harmony that is based on peace, cooperation and “soft power” exchanges. Soft power is a concept developed by Joseph Nye to describe the ability to attract and cooperate rather than using coercion, force or money as a means of persuasion. The means of persuasion by using force or money, on the other hand, is called hard power. Nye, as a past Assistant Secretary of Defense for International Security Affairs in the Clinton Administration, stresses on the combination of soft power and hard power, which he calls smart power. Nye believes that the using of smart power in today's dynamic international relations will be highly effective. Now looking back at President Hu's visit to U.S. and linking it with the multidimensional rise of Chinese influence on the international stage, one can discover the subtle similarity between Chinese and American foreign policies. In addition to the utilization of smart power, the Chinese leader also understands the concept of "Shadow of the Future": At the high school, Hu Jintao told the students, "“The young are the future of a nation and the hopes of the world. The prospects of China-US relations are in the hands of the young people of the two countries.” "Shadow of the Future" is a concept in Joseph Nye's book, Understanding Global Conflict and Cooperation: An Introduction to Theory and History. The key to Shadow of the Future is to lengthen the period of peace and cooperation and to reduce fear of power conflicts. One of the paramount reasons that contributes to the Peloponnesian War, according to Thucydides, is “ the growth of Athenian power and the fear which this caused in Sparta.” Hu's perspective claims to try to reduce the deadly psychological feeling in the nature of humans as well as nations. On the other hand, the American foreign policy goes beyond the message of peace, understanding and cooperation. As the world's superpower, the United States has a tough stance on the rise of China. The appropriateness of such a tough stance, nevertheless, is debatable given the political environment at the time of American elections. During Hu's visit, President Barack Obama assured China that the U.S. is reasserting its influence in East Asia and in the Pacific Ocean. Indeed, the U.S. has increased its military and political presence in the Pacific through its military deployment in Australia and its diplomatic/military pressure on the sovereignty disputes in the South China Sea in early 2012. The administration of Hu's successor, Xi Jinping, has used the phrase more sparingly. It was mentioned only once in the resolutions passed by the 3rd Plenary Session of the 18th Central Committee. While initially the public's reaction to the idea was positive, over the years "Harmonious Society" has emerged as a euphemism for "stability at all costs," and has garnered its share of critics. The government often uses "Harmonious Society" to justify the suppression of dissent and the tight control on information in China. Some social commentators have pointed out the irony that in building a "harmonious society" the country has become less just, less equal, and less fair. Meanwhile, some of Hu's critics say that application of the "Socialist Harmonious Society" concept has resulted in anything but itself. China scholar Cheng Li said that Hu's failure in implementing the Socialist Harmonious Society program has been his "gravest pitfall" during his tenure. Critics cite the increased wealth gap, higher internal security budgets, and unprecedented corruption in state-owned industries as evidence that Socialist Harmonious Society has failed in practice. The term "River crab" (Chinese: 河蟹; pinyin: héxiè) has been adopted as internet slang in Mainland China in reference to Internet censorship. The word river crab sounds similar to the word "harmonious" in Mandarin Chinese. In addition, the word "harmonious" can itself also be the placeholder verb for "to censor", most often referring to posts on a forum that have been deleted because of its unacceptable content, or the censorship of stories reporting sensitive issues in the press. Something that has been censored in this manner is often referred to as having been "harmonized" (被和谐了). ↑ Guo And Guo (15 August 2008). China in Search of a Harmonious Society. Lexington Books. ISBN 978-0-7391-3042-1. ↑ Ruiping Fan (11 March 2010). Reconstructionist Confucianism: Rethinking Morality after the West. Springer Science & Business Media. ISBN 978-90-481-3156-3. 1 2 Arnold, Perris. “Music as Propaganda: Art at the Command of Doctrine in the People's Republic of China.” Ethnomusicology 27, no. 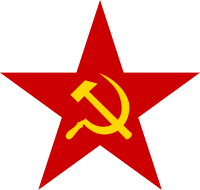 1 (1983): 1–28. ↑ "China's Party Leadership Declares New Priority: 'Harmonious Society'". The Washington Post. October 12, 2006. Retrieved 2011-01-20. 1 2 Zhong, Wu. “China yearns for Hu's 'harmonious society'.” Asia Times. Last modified October 11, 2006. ↑ Ko, Yi-Fang. “Confucianism in Qin Music.” Chinese Music 29, no. 2 (2006): 32–39. ↑ Perris, Arnold, “Music as Propaganda: Art at the Command of Doctrine in the People's Republic of China,” Ethnomusicology, 27, no. 1 (1983): 12. ↑ Martin Jacques: Understanding the Rise of China, video file, directed by Martin Jacques (London, UK: TED, 2010). ↑ Perris, Arnold, “Music as Propaganda: Art at the Command of Doctrine in the People's Republic of China,” Ethnomusicology, 27, no. 1 (1983): 14. ↑ Geis, John and Blaine Holt. “ ‘Harmonious Society’ Rise of the New China.” Strategic Studies Quarterly 3, no. 4 (2009): 75–94. ↑ Johnson, Ian. “China's Leader Has Message of Harmony, but Limited Agenda.”. The New York Times. Last modified January 18, 2011. 1 2 "President Hu Jintao Paid a Visit to the Confucius Institute in Chicago News." Hanban.org. January 27, 2011. ↑ Joseph Nye on Global Power Shift, video file, directed by Joseph Nye (Oxford, England: TED, 2010). ↑ Fallows, James. “A Final State Dinner Note.” The Atlantic, January 20, 2011. ↑ Hu, Xingdou. "胡星斗：建议取消"和谐社会"的提法". New Century News. Retrieved 2011-08-11. 1 2 3 Li, Cheng; Eve Cary (December 20, 2011). "The Last Year of Hu's Leadership: Hu's to Blame?". 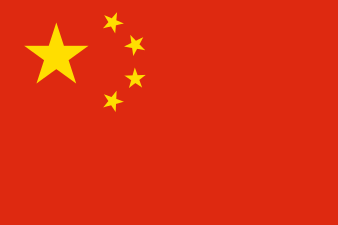 Jamestown Foundation: China Brief. 11 (23). Retrieved January 2, 2012.